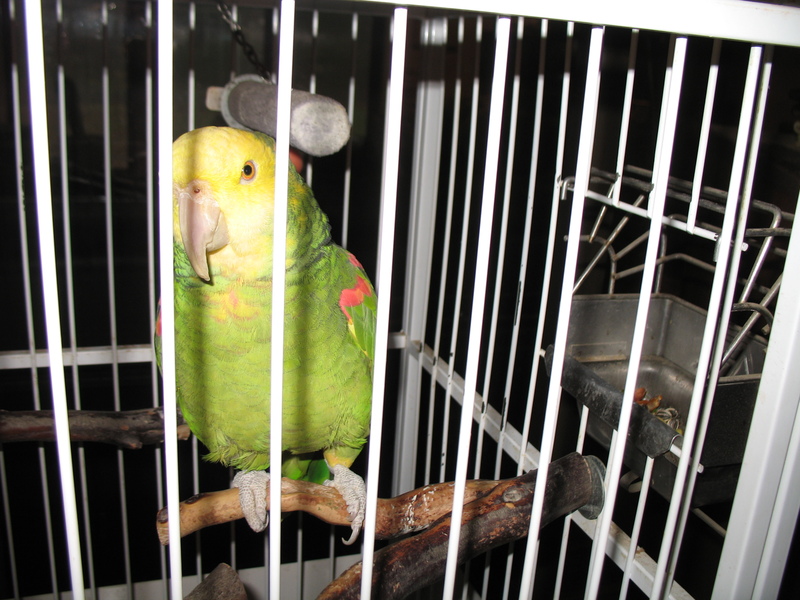 Here is Tiki just as we are first getting home with him on 12/23/07. 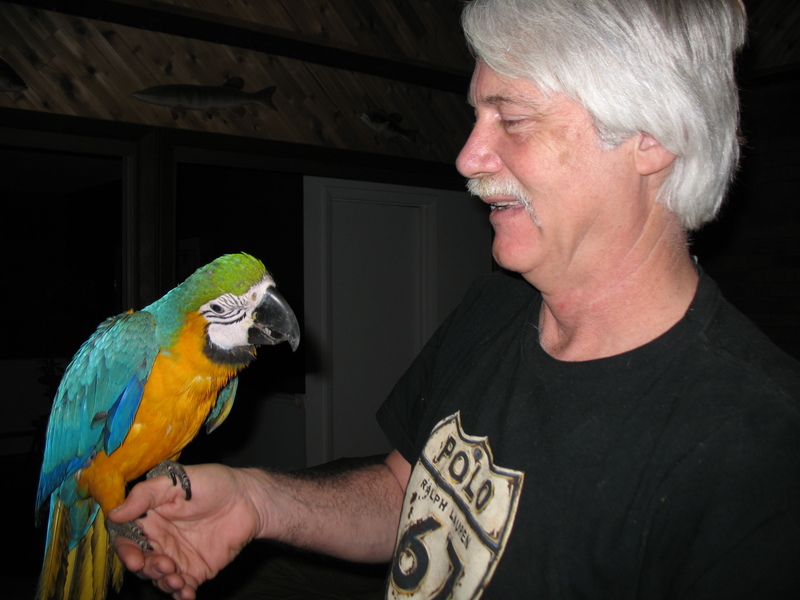 Tiki is a 5 1/2 month old Blue & Gold Macaw. He (or she - DNA results are still pending) was born on 7/12/07. 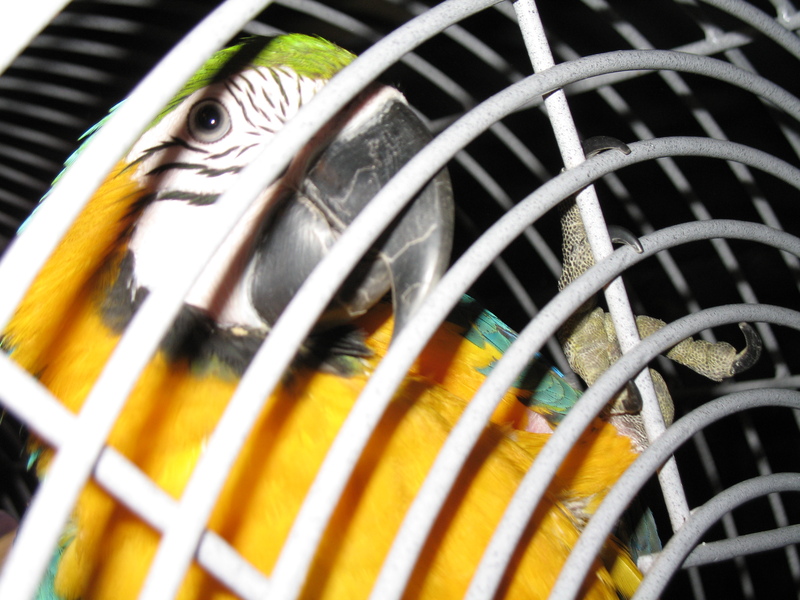 Here's Tiki on 12/23/07, exploring his new cage. Tiki needs a hug. 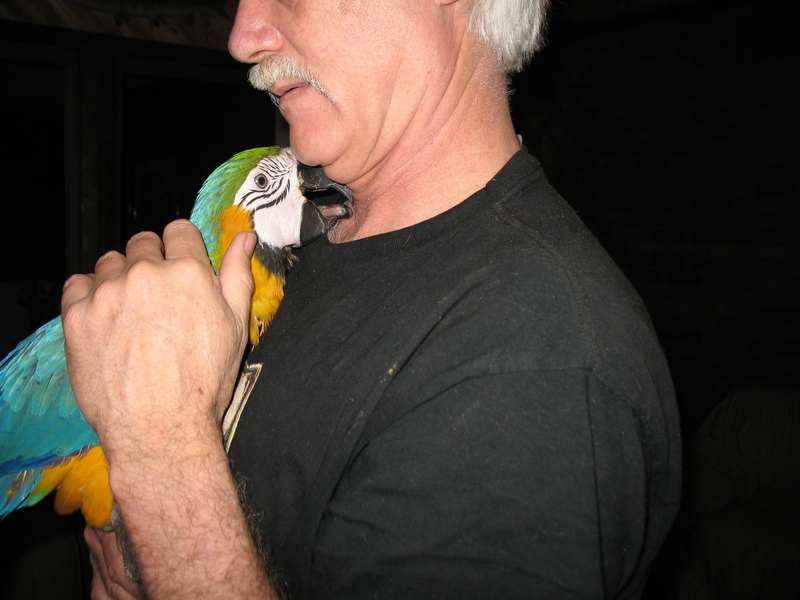 Phil's getting a kiss from Tiki. Zacky was very happy to see another bird in the house. 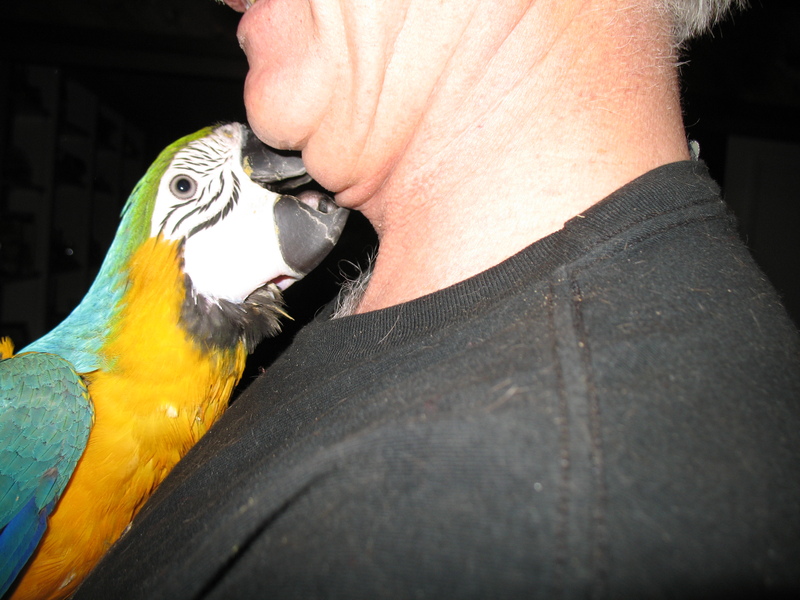 Here's Zacky (19 year old Double Yellow Headed Amazon) checking out Tiki. He was very curious...probably wondering why Tiki's cage was so much bigger than his! Tiki and Zacky getting to know each other. 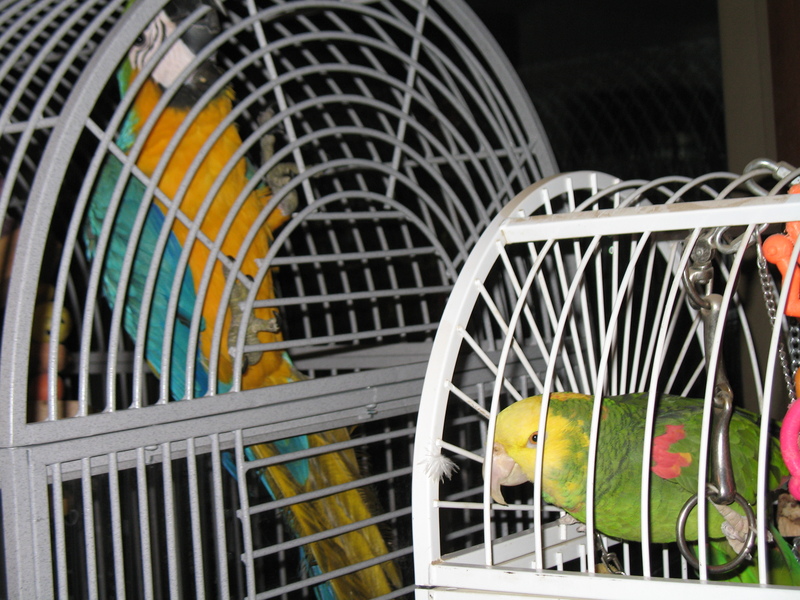 It will be a while before we let them interact with each other, but they do like hanging out at adjacent sides of their cages.